Located in Tongdao (通道), Hunan and approximately 120 kilometers from the Longji Rice Terraces, the Wanfo Mountain Scenic Area offers five scenic spots including Wanfo Mountain, Shenxian Cave, Qixing Mountain, Jiangjun Mountain and Ziyun Mountain. Situated approximately 20 kilometers from Tongdao town, Wanfo Mountian Scenic Area features towering peaks with different shapes and rich lush vegetation. It is composed of Wanfoshan Danxia landform, mysterious Dong culture and Gongcheng Academy (恭城书院) - the former meeting point for the Red Army. There is also a lake in the scenic area. Visitor can go fishing by the lake, or set up a tent in the woods to relax themselves in the nature. The mountain road is not very steep. Therefore, it take about 2 hours to hike up to top of the mountain from the foot. The best time to visit Wanfo Mountain is from April to October as it is not too hot or too cold during this period of time. Because it opens at 08:00am and closes at 18:00pm, it's not possible to enjoy the sunrise and the sunset in the area. As there is no direct bus from Longsheng or Huaihua which is located some 3 hours drive from Wanfo Mountain or Longsheng, there are only a few options. Rent a car from Longji Rice Terraces or Huaihua to Wanfo Mountain. This is the quickest and most direct option. Take a flight from Bejing, Guangzhou, Guilin, Nanning, Shanghai, Kunming, Haikou, Shenzhen or Changsha to Huaihua Zhijiang Airport (怀化芷江机场). Then take a train to Tongdao County from Huaihua. At last, take a direct bus from Tongdao Bus Station (通道汽车站) to Wanfo Mountain. Take a train to Huaihua from Wuhan, Beijing, Guiyang, Zhangjiajie or other cities. Then, take a bus from Huaihua South Bus Station (怀化汽车南站) to Tongdao County. At last, take a direct bus from Tongdao Bus Station to Wanfo Mountain. Take a train from Nanning, Guilin, Liuzhou, Beihai, Guangzhou or other cities to Sanjiang South Train Station (三江南站). Then, take a direct bus from Sanjiang Hedong Bus Station (三江河东汽车站) to Tongdao County. At last, take a direct bus from Tongdao Bus Station to Wanfo Mountain. 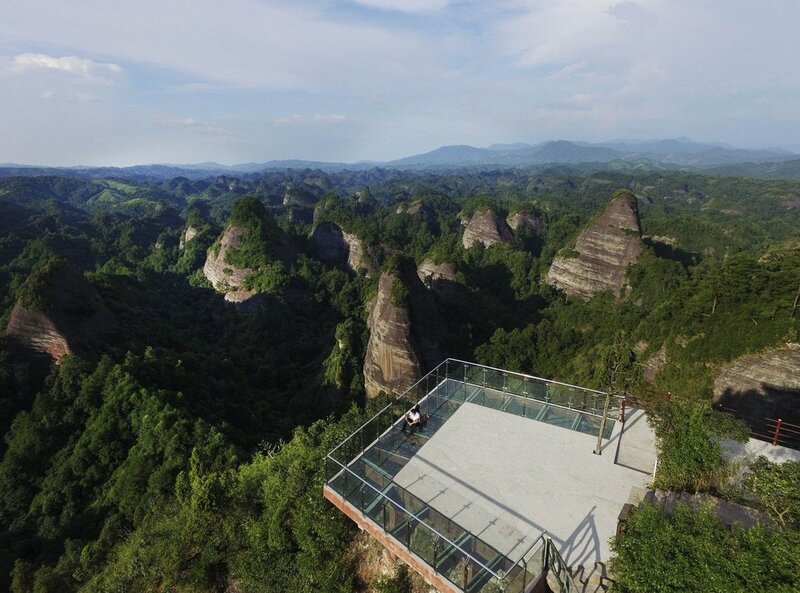 Interested in visiting Wanfo Mountain on a Tour? Wendy Wei Tours offers a variety of different packaged tours as well as custom tours including Wanfo Mountain, among other attractions and destinations. To find out more, please visit our Tours page or Contact Us directly to find out more.